According to the Centers for Disease Control, the obesity rate in America is somewhere between 26-32%, almost 1 in 3 Americans. Since 1988, the average American male has gained over 17 pounds while the average female has gained about 15 ½, Spotlight on Obesity reports. If these trends continue, nearly 43% of all Americans will be obese by 2018. The CDC also reports that the annual medical cost of obesity in America is $147 billion and the annual medical cost for obese persons versus average weight individuals is $1,429 more. Obesity is commonly correlated with many health problems ranging from minor conditions to more life-threatening ones. Generally, a woman’s weight is connected more to stroke, congestive heart failure, coronary or cardiovascular disease while men have more incidences of coronary death and congestive heart failure deaths. Obese mothers also contribute to a babies’ risk of low blood sugar, have higher birth weight babies and more birth defects. The number of bariatric surgeries increased to 179,000 in 2013 with 34.2% of surgeries as the Roux-en-Y gastric bypass, 14% gastric banding, 42.1% gastric sleeve, 1% as the duodenal switch, 6% as revisional surgery and 2.7% classified as other (American Society for Metabolic and Bariatric Surgery). While the common misconception is that most patients who have metabolic or bariatric surgery generally regain their weight, the statement is just not true. According to the American Society for Metabolic and Bariatric Surgery, as many as 50 percents of patients may regain a small portion of their weight loss (just 5%) two years or more following surgery. However, according to more longitudinal studies, most bariatric surgery patients maintain successful weight-loss long-term. Successful weight loss is generally defined as weight loss that equals to or greater than 50 percent of their excess body weight. A common misconception is that the chance of dying from surgery is higher than one’s chance of dying from obesity. It’s true that individuals with severe obesity are more likely to have life-threatening conditions such as Type II Diabetes, hypertension and heart disease. According to a study done by the ASMBS Bariatric Centers of Excellence looking at nearly 60,000 bariatric patients, the average mortality rate associated with bariatric surgery was just .13% or about 1 of every 1,000 patients. This rate is considerably less than other surgeries such as hip replacement or even standard gallbladder surgery. Large studies have also looked at the risk of death from any cause of obesity and all of them caused more death than the bariatric surgery itself. In fact, this study shows an 89% reduction in mortality because of surgery and the weight loss associated with said surgical procedures. According to an article published by the Cleveland Clinic Journal of Medicine, complications rates are low with laparoscopic gastric bypass surgery. In fact, after reviewing nearly 3,464 procedures, bleeding occurred in less than 4% of patients, Tachycardia 0 – 4.4%, wound infections in fewer than 5% of all cases, deep vein thrombosis up to 1.3% and the rate of pulmonary embolism ranged from 0 – 1.1%. According to an article published in the Pharmacy Times, dumping syndrome occurs in as many as 40% of weight loss surgery patients. It includes the rapid passage of undigested food usually carbohydrates from the stomach. Symptoms occur 1-2 hours after consuming sweet foods or foods high in simple carbs. While the condition typically resolves over time, nearly 12% of all patients can experience them for more than two years after surgery. In a study funded by the U.S. Department of Health and Human Services, patients who had gastric bypass surgery loss on average 64.8 pounds and those who had gastric sleeve surgery loss about 55.3 pounds in a year. Compare this to those just on medical therapies with no weight loss surgery that lost just 11.9 pounds. 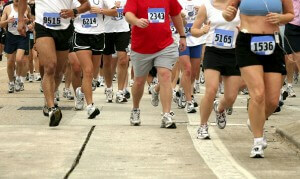 Also, gastric banding patients lost 44 pounds more than patients on medical therapy by the two-year mark. In another study published by US National Library of Medicine and the National Institutes of Health, the long-term success rate of those who had laparoscopic sleeve gastrectomy (vertical sleeve) appears to be a weight loss of over 50% and 6+ years of maintenance. Some weight regain occurred during the third and sixth postoperative year. The study’s researchers believe that with regular follow-up visits this weight regain could be prevented. Also according to an article published in the Surgery for Obesity and Related Diseases, gastric sleeve surgery is highly effective and safe helping patients to achieve weight loss, improve their quality of life and improving co-morbidities. The same study mentions significant weight loss after 12 months follow up checkouts. According to the Journal of American Medical Association, the mean hemoglobin levels at 12 months post-op was 6.4% for gastric bypass groups and 6.6% in vertical sleeve patients compared with 7.5% in the medical therapy groups. Gastric banding patients see a 32.8 mg/dL lower rate than non-surgery patients as well. This concludes that bariatric surgery is associated with more short-term weight loss and an overall better glucose outcome than the non-surgery option. 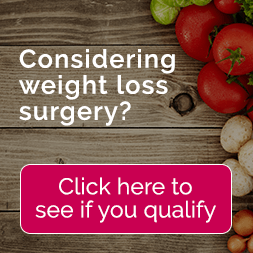 What Bariatric Surgeries Are Covered By Insurance?